What Is The Best Way To Improve Your Balance? TOPIC: What Is The Best Way To Improve Your Balance? Balance can be an important factor for some athletes. It can be a strength, or it can be a weakness. How important is balance to an athlete? What are some good techniques to improve your balance? Bonus Question: Which sport requires excellent balance? Why? How To Improve Your Balance. Balance: what is it and why is it important? Balance is a key asset to an athlete. It is often overlooked in many situations. Athletes can become too pre-occupied worrying about strength and speed, and neglect balance/core training. Let's look at balance more thoroughly. An object is at rest, or in a state of "equilibrium" when all forces acting on it are zero. An imbalance of forces will cause either a linear or rotary motion, according to where the force is applied. For an athlete, this can be a bad thing. An example: a sprinter is set to race. The starting shot has been fired, he's quick out of the blocks, but his balance is off. His body position falls to one way, and an imbalance of forces occurs. He stumbles, and his race is over. The location of the center of gravity in relation to the base of support. The direction of the forces involved. The base of support involves the points of contact with a supporting surface and the area between these points. The nearer the line of gravity falls to the center of the base of support, the greater the probability of maintaining balance. If the center of gravity moves outside any margin of the base of support, stability is lost. This is why footwork and movement are always important to athletes. Consciously making sure you are always in the correct position will ensure that you will eventually do it subconsciously over time. Sport-dependent footwork can make or break you. The broader the base of support; generally the better probability of maintaining balance. on his hands and knees. He is more stable than a wrestler who is standing. The center of gravity must be moved farther to make the wrestler unstable. This applies to all sports. Take a look at a basketball player; if his feet (base of support) are close together, he is naturally more unstable when throwing the ball. If he maintains a wider base of support, it takes more for the center of gravity to make him unstable when throwing the ball. The farther away one body part moves from the line of gravity, the greater the possibility of losing balance, unless another body part moves to compensate for it. Whenever one body part moves, the center of gravity moves in the same direction. Also, if the center of gravity moves toward an oncoming force while still within the base of support, balance is increased. This is because the center of gravity would have to be shifted to a greater distance before making the person/athlete unstable. Why is this relevant? Follow through. Notice how baseball players, cricketers, ten pin bowlers (just to name a few) all follow through their initial movement/force with a smooth motion, hence retaining balance. Now that I have discussed the fundamentals behind balance, an athlete can integrate balance training into their regimen to improve their balance, which can have a big impact on performance. Stand upright, and still. Place one hand on your belly button. Take a step or two farther. Feel anything? You should feel your abdominal muscles contract and relax. Your core comes into play just about every time you move. Does this tell you anything? Yes, it sure does. A strong core is important for athletic balance and movements. The idea behind core training is to work the area that supports your trunk and spine. 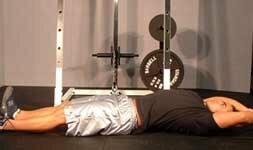 There are many anatomical reasons for doing core training. 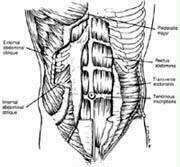 These are easy to see once you understand the relationship between the core muscles and your spine. A strong core will stabilize the spine, hence acting like a "girdle of strength," creating greater power throughout your movements with much better balance. This is of great advantage to the athlete. For example, let's take a look at that sprinter setting off again. His spine acts as a powerful support base ("girdle of strength") for his legs so with a strong core he will be able to put more power behind each step. He sets off. Despite his speed, his core/spine holds firm. The center of gravity stays more constant as the body is not stable per se, however moving with constant linear and angular velocities balance each other out. This is known as dynamic equilibrium, and the sprinter continues. Superset one exercise from group 1, with one exercise from group 2 for 10-15 reps.
As you can see, core strength can play a vital role in your success as an athlete. This leads me onto another place which is lacking in some situations. Posture. Poor posture is not good for overall bodily balance. When the body is in a poor posture, the force of gravity has an exaggerated rotary effect on weight bearing body parts. As we have discovered earlier, this is not good for balance! The main causes of poor posture are poor standing, sitting and walking habits. Don't bend or stretch unnecessarily. Don't bend your back when lifting things. Don't sit in a cramped position. Do choose furniture that supports your back. Do bend your knees and use your legs when lifting heavy things. Do use a back rest if the seat does not support your back. Do make sure that work tops are at the correct height. After all, a good posture gives the impression to other people of enthusiasm, confidence and initiative, not to mention assisting balance for your sporting endeavors. It may seem like a minor component, but it is an important aspect! Maintain a large supporting base, in line with the oncoming force. A lower center of gravity. A line of gravity close to the center of the base of support. Follow through your movements smoothly. And last, but certainly not least, DO NOT neglect your core! So, I have discussed the basis behind balance; explained the forces and how balance is achieved. If you understand these principles, you can slowly make a conscious effort to put them into play through training and monitoring technique, and as a result, your athletic performance will improve! What Sport Requires Excellent Balance, & Why? Gymnasts require an extraordinary amount of balance and coordination. Have you ever tried walking along logs in the park? If so, you can appreciate this isn't the easiest thing to do. Now imagine walking along a narrow beam, suspended in the air, and a judging criteria panel watching for just the slightest mistake/imbalance. Other gymnastic activities include doing flips on the bars, floor movements like cartwheels, somersaults, handstands, etc. and some do this while waving a long ribbon or something similar. The amount of balance required is exceptional. One mistake or an imbalance of forces make or break gymnasts' success. Understanding balance and how important it is, is key in gymnastics. Try doing a triple somersault, and land fluently with perfect balance. Definitely not an easy task to achieve which is why I believe gymnastics require outstanding balance. An elite athlete should not only be strong and explosive, but they should have exceptional balance. Balance can make or break an athlete. Balance is often overlooked by individuals. Many people focus solely on strength and explosion and leave out balance work. Neglecting balance could be the difference in a top level college recruit and the "middle of the road" athlete. Balance is pretty self explanatory. Balance is the ability of an athlete to stabilize themselves by keeping their center of gravity in line with the playing surface. An athlete with exceptional balance would be at a better position than a person with less sense of balance due to the fact that once they were able to gain their position in their sport they would be harder to move off of that spot. For instance an athlete "posting up" in a basketball game would be at a greater advantage if their balance was good. The athlete would be less likely to be pushed out or moved off their spot. Balance also plays a role in changing directions. 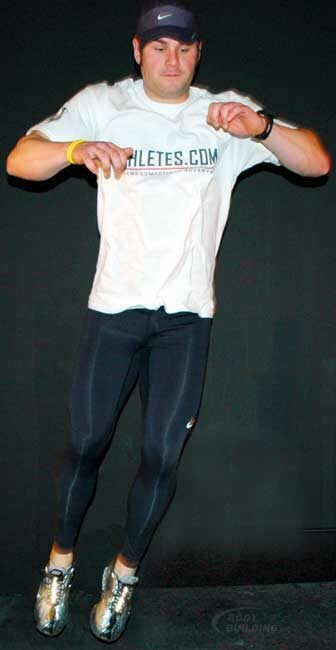 An athlete with a low sense of balance is more likely to stumble or trip when changing speed and direction. This could give the opponent the fraction of a second they need to get an advantage. What Can Be Done To Increase Balance? An athlete can help improve their balance by working on their core. An athlete's core is important due to the fact that the core makes up the majority of a person's mass. The Core Makes Up The Majority Of A Person's Mass. 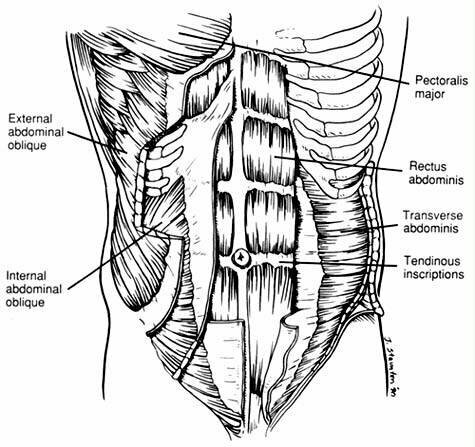 The abdominal muscles are stabilizers to your lower body and spine. If you neglect training your abdominal muscles or core you limit your body's ability to stabilize itself. Thus decreasing your balance. 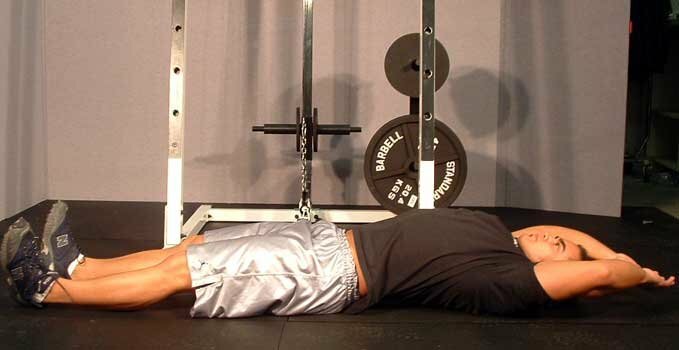 I suggest you include weighted core training in 3 times a week with your skill and training. I prefer to keep the rep range 8-12 with a weight that can be done in that range. Pick 3 out of the following exercises and perform them 3 times weekly. Stand straight up with your feet at shoulder width. Hold a dumbbell in your right hand with your palms in. Place your left hand on your waist. Keep your back straight. Bend to the right as far as you can, then bend to the left as far as possible. After finishing your desired reps, change the weight to your other hand and repeat. Bend at your waist only, not at your hips or knees! Hold the weight in front of your face and perform a crunch. Hang from a bar with your palms facing forward. You can use straps if needed to help with your grip. Start with your knees bent at a 90-degree angle and your upper legs parallel to the floor. Pull your legs up and try to touch your shins to the bar above you. Try to straighten your legs as much as possible while at the top. Lower your legs as SLOWLY as possible until you reach the starting position. Repeat. Don't swing and use momentum! Lie on the floor on your back. Place your arms straight back behind your head. Bend at the waist while raising your legs and arms to meet in a jackknife position. Lower arms and legs back to the starting position. Keep your elbows and knees locked! Sit on the floor and hold a plate out in front of your abdominals with your arms slightly bent. Lean back slightly with your upper body and elevate your legs off the floor. Rotate from side to side and touch the plate on the floor. Twisting to the left and touching the plate to the floor and then twisting to the right and touching the plate is 1 rep! Remember to breathe throughout the exercise! While core training will greatly help balance, you can also do some of the following drills and movements. Place 4 dots in a square with 1 in the middle and practice jumping from dot to dot on one foot. Do this once with each leg, and once with both feet for 30 seconds each. on one foot can help get used to moving quickly. Practice with both legs and two footed. Start on one side of a line (any line will work) and jump on both feet side to side as quick as possible. Sprint 20 yards then in full stride turn backward and back pedal, eventually you should be able to do this without slowing down. Many sports require you to back pedal. Try staying low and moving your torso and swaying your arms. Practice standing on one foot and not stumbling. Try to focus on staying low to the ground and remember to swing your arms when changing directions to help counter the forces of gravity. Aside from gymnastics I would say golf requires the best balance. You have to have exceptional balance in order to line up your shot be able to swing a club. One slight movement can pull your whole swing out of line.